On Saturday 1st October Jake Piper had his head shaved for charity. Jake decided to raise money for Cancer Research UK after a close family friend was diagnosed with cancer. 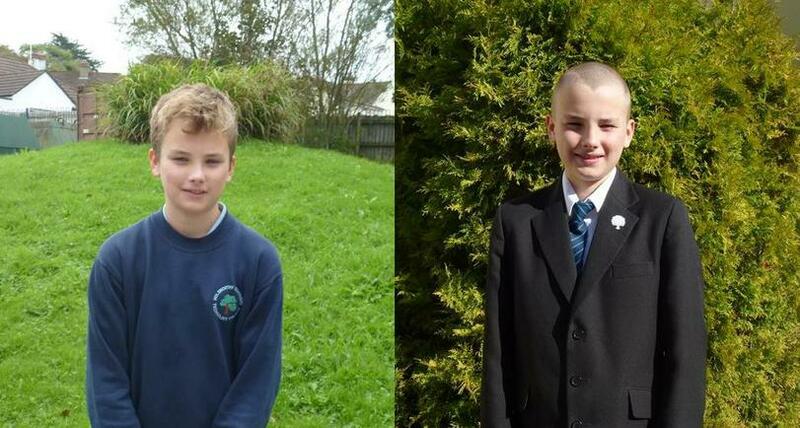 Jake had the idea to have his head shaved to raise money after seeing a Cancer Research charity appeal on TV. “The day had arrived…. I was a bit worried as I was nervous about what other people would say and what my friends at school would think. Rachel from The Hair Shop in Holsworthy offered to come and shave my head at home at 3 o’clock, so I had the whole day to prepare myself, although the wait was frustrating as I just wanted to get it over with. As she started to shave my head I was feeling increasingly worried, but as she continued I started to feel better. I was pleased with the results—she did a good job cutting my hair and I think it looks quite good. There was a lot of hair, but not enough to give to charity.